Click on the picture to read their Bio. Lives in Foster City, CA with his wife Maryland. Doc is is CEO of Cetecea Corporation. Doc is the first life member of the USS Seattle (AOE-3) Veterans Association. The assoctiation is thankful for his assistance and friendship! Carl Jay McCann, 84, of the 700 block of Southleaf Drive, Virginia Beach, VA, passed away October 23, 2010, in his home. A native of Logan, West Virginia, he was the son of the late Frederick and Thelma McCann. 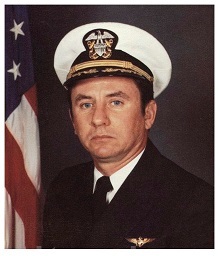 He retired from the United States Navy as a Captain and also retired from St. Mathew's Federal Credit Union. He was predeceased by his wife, Eileen K. McCann. Japan and Pusan, Korea and off the coast of China from Shanghai. He was released to inactive duty in August of 1946. He returned to active duty in June 1951 and was assigned to the staff of Commander, LSD Division 22. 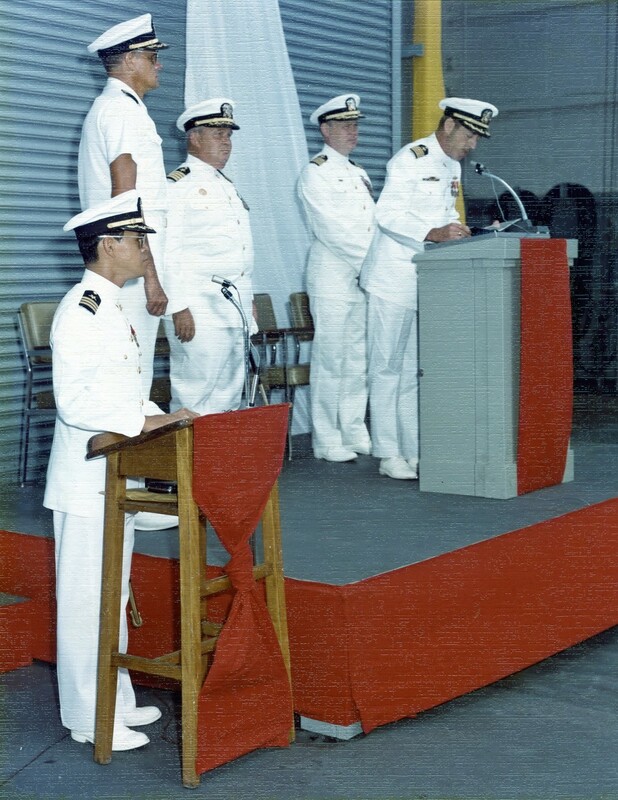 Distribution Office, Atlantic, with additional duty as Fleet Personnel Officer; Commanding Officer USS Seattle (AOE 3). Captain McCann completed his active duty as Assistant Chief of Staff for Administration and District Inspector General, Commandant THIRD Naval District. 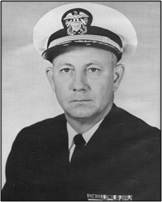 Captain McCann was Morton’s sixth Commanding Officer, serving from 12 October 1966 through 8 October 1968.
made their home in Virginia Beach where he is presently employed as Treasurer/Manager of St. Matthews Federal Credit Union. Retired with 30 years service when relieved by Capt. Lloyd. 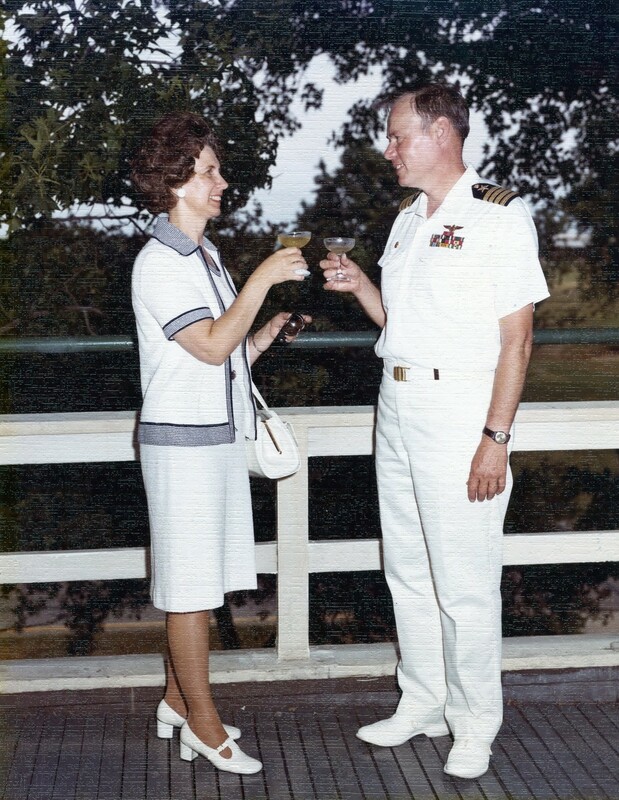 Capt and Mrs Lloyd after USS Seattle (AOE-3) change of command. 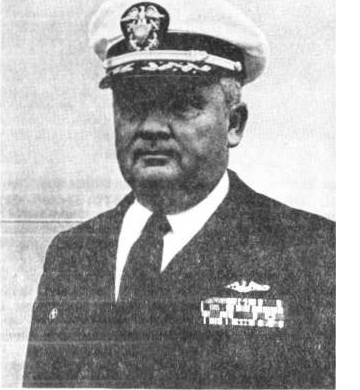 The following Bio was printed in the program in the USS Seattle (AOE-3) Change of Command program when Capt. Lloyd relieved Capt. Anderson 9/30/1976. 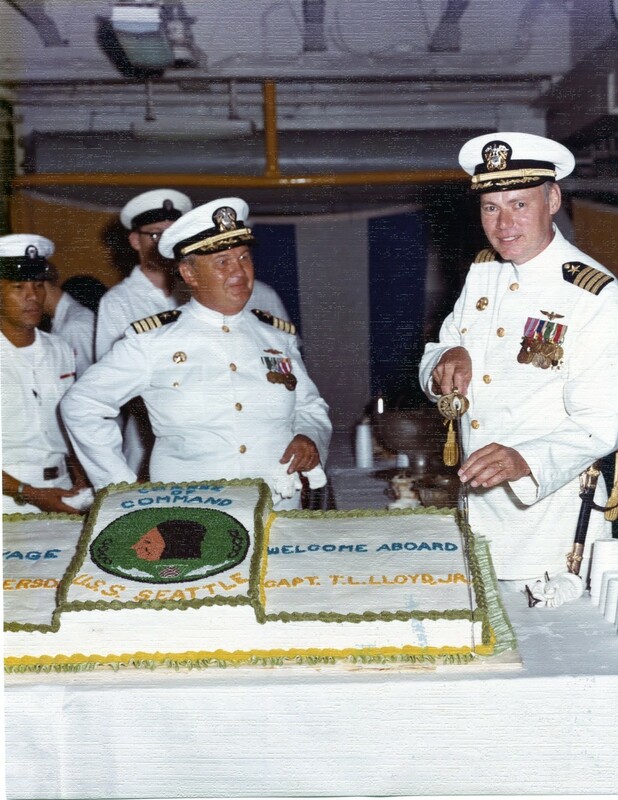 Captain Lloyd is a 1953 graduate of the Naval Academy. 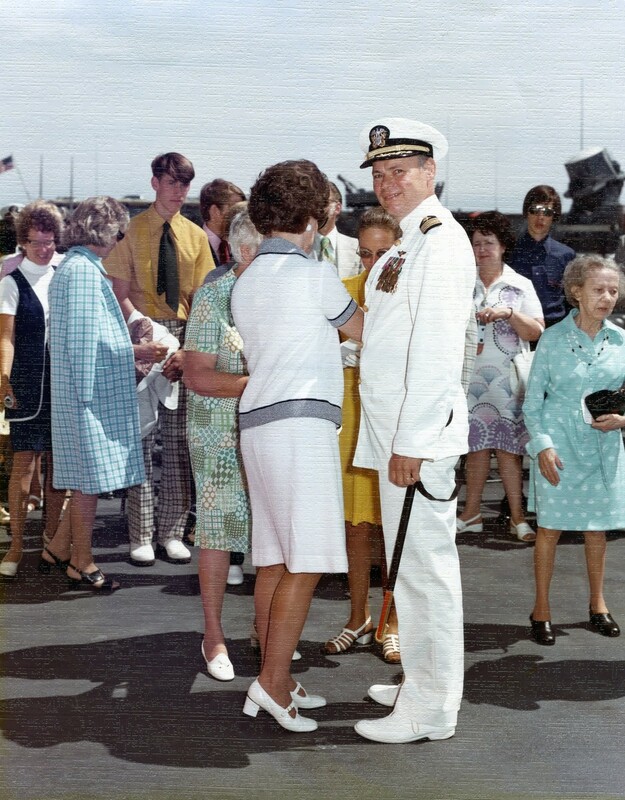 Prior to entering the Naval Academy he served in destroyers as an ET. 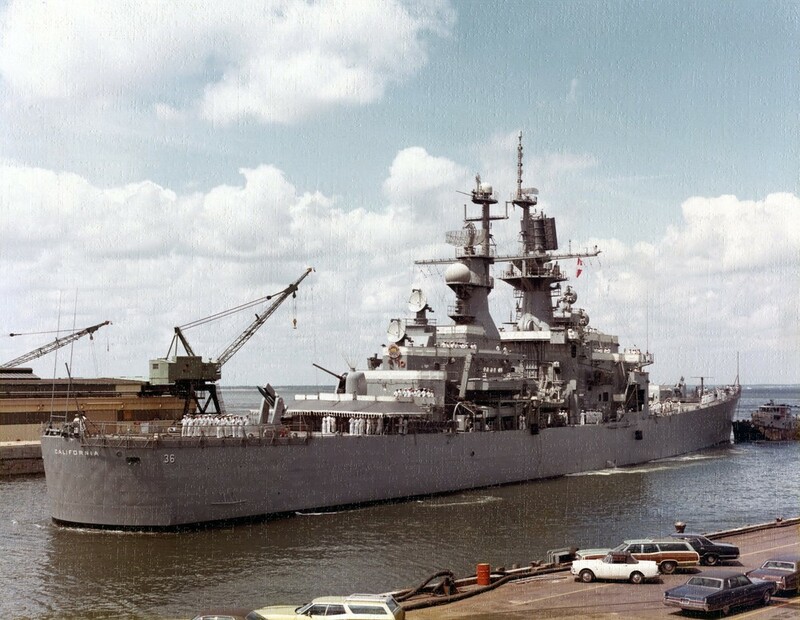 His initial assignment upon graduation was in USS LEARY (DDR 879). In 1954 he entered flight training and was designated a nav•l aviator in 1955. After designat1on he was assigned to Attack Squadron 12. Following this assignment he attended the Naval Post Graduate School where he was awarded a Master of Science degree in electrical engineering. His next assignment was Attack Squadron 146 where he served as Maintenance Officer. 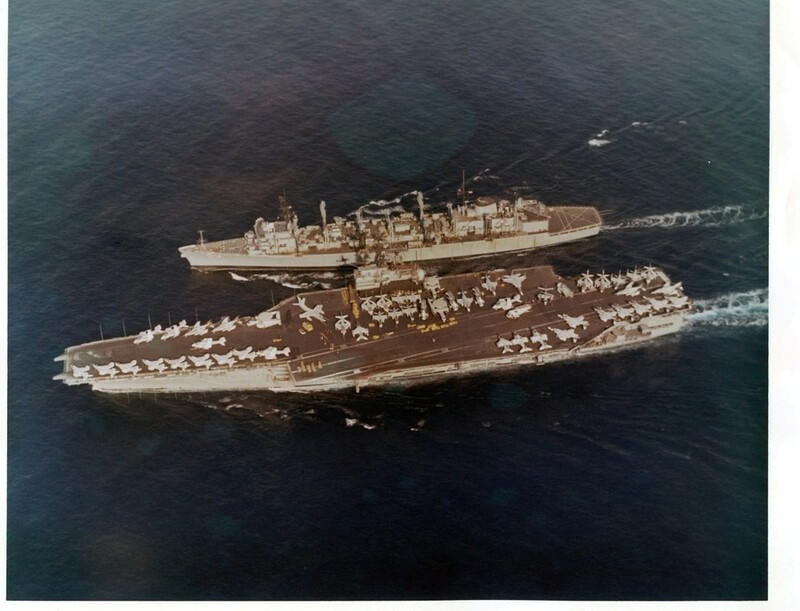 It was during this assignment while deployed in USS CONSTELLATION (CVA 64)that he took part in the initial strikes against North Vietnam. In 1965 he was assigned to Air Development Squadron 5. While there he served as Officer in Charge of the Mashua, M. H. detachment. This detachment prosecuted CNO project P/0-210. 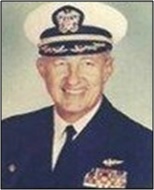 Upon leaving VX-5, he served in Attack Squadron 23 where he was the Executive Officer and later the Commanding Officer. 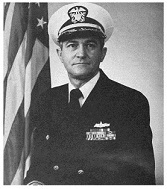 His next assignment was in USS F. D. ROOSEVELT (CVA 42)as Operations Officer. 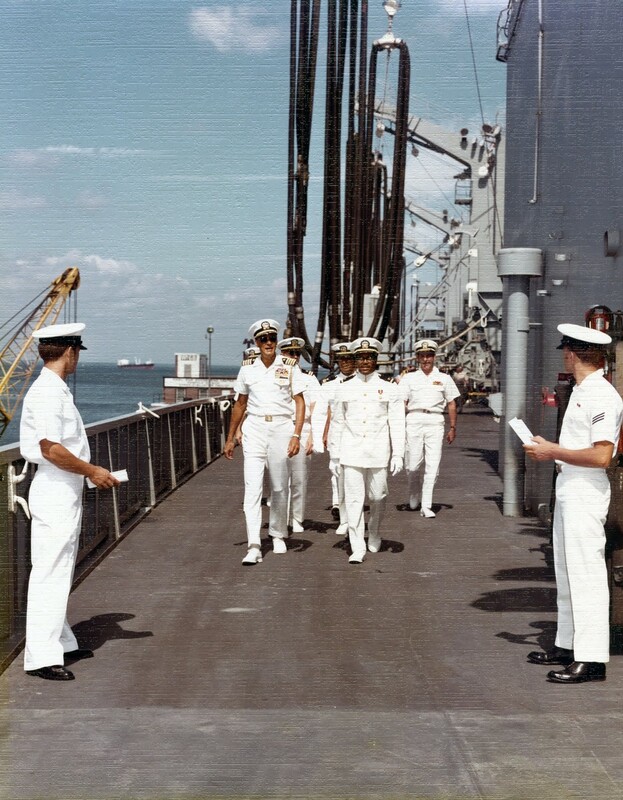 Following this tour of duty he was assigned to OPNAV where he was a Section Head in the Strategic Plans and Policy Division. 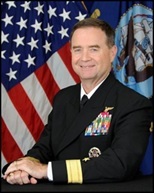 His most recent assignment was as Assistant Director of the DDR 6 E sponsored Electronic Warfare Joint Test. James Howard Mauldin (Jim), 77, of Lynn Haven, Fla., passed away Thursday, July 23, 2009, after a courageous 12-year battle with cancer. A native of Brewster, Fla., Jim graduated from Georgia Institute of Technology with a master's degree in physics and also earned a master's degree in science and aeronautical engineering from California Institute of Technology. 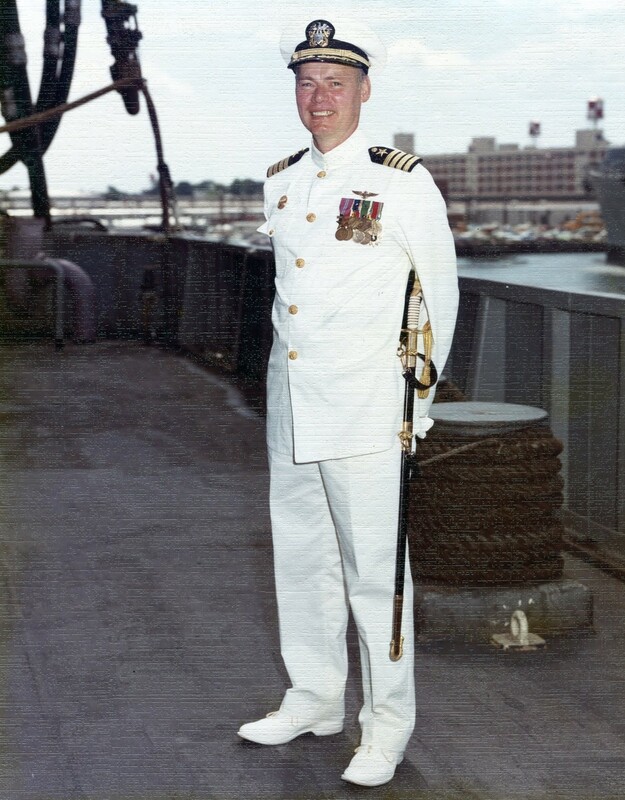 Jim was a career naval officer and pilot serving tours of duty with several attack squadrons and combat in Vietnam. 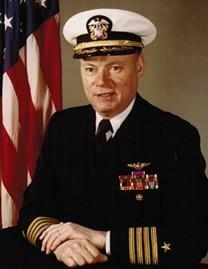 He was the aircraft handling officer of the USS Saratoga, commanding officer of the USS Seattle, executive officer of the USS Nimitz and ended his 27-year naval career as the commanding officer of the USS Dwight D. Eisenhower, which he piloted to the most successful record in peacetime carrier history. 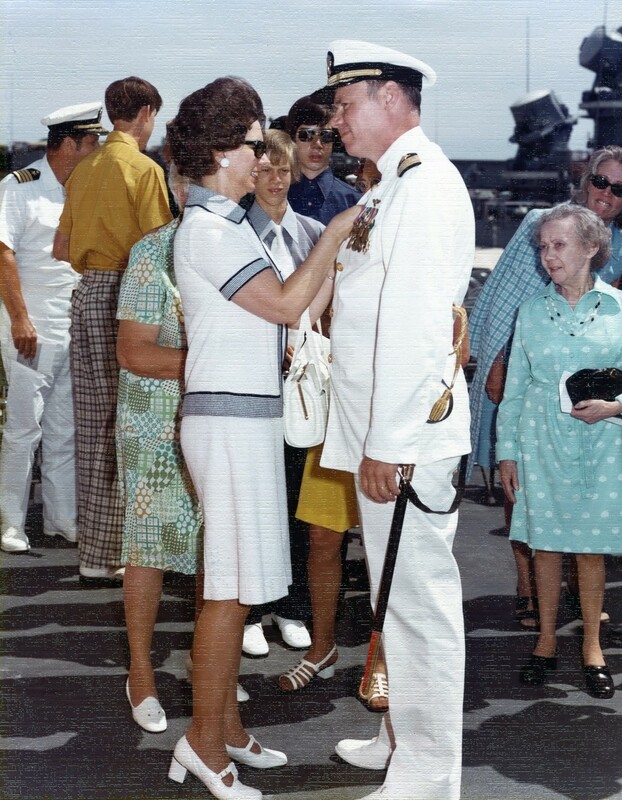 Jim was awarded the Navy Commendation medal, the Air Medal, the Bronze Star, the Republic of Vietnam Campaign Medal, the Vietnam Service Medal and the National Defense Service Medal. 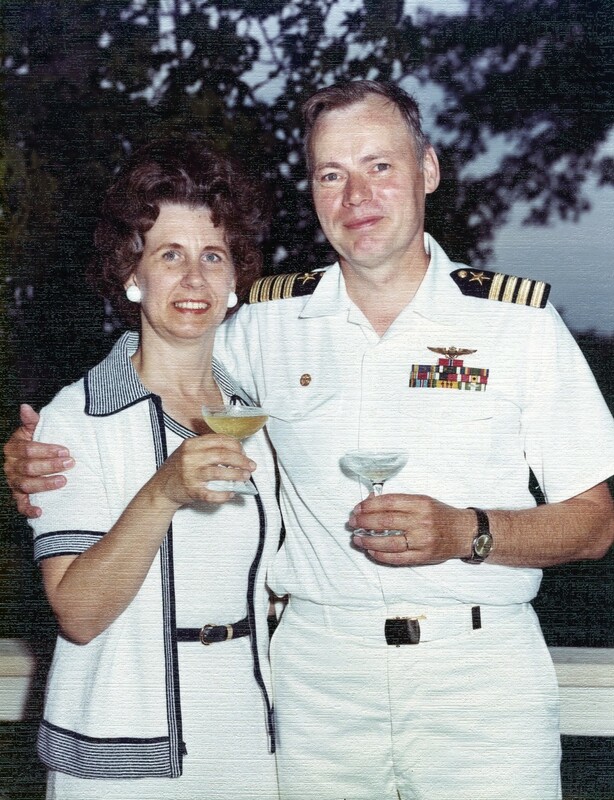 Upon retiring from the Navy, Jim began his second career at Newport News Shipbuilding in Virginia where he met and married his wife, Barbara. 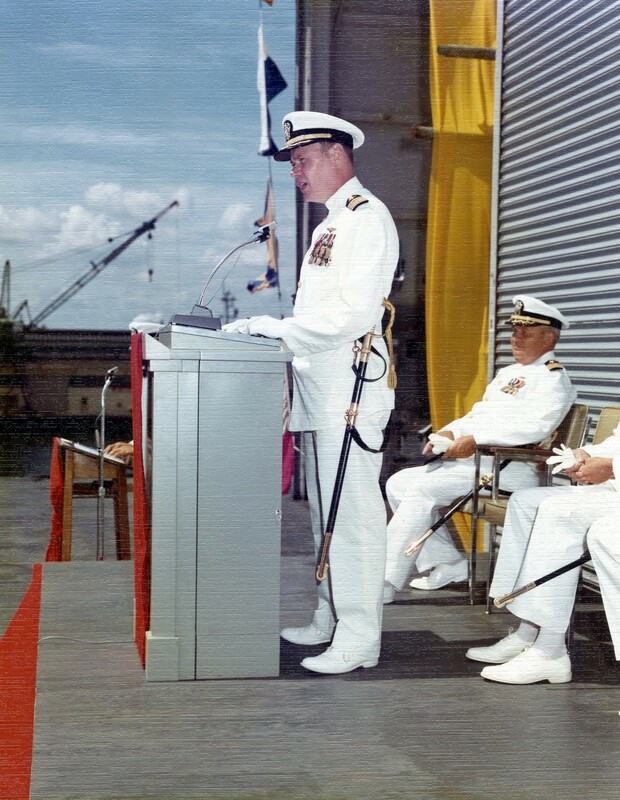 During the next 12 years, he served as submarine overhaul manager, overhaul manager of the USS Eisenhower, director of trades administration and finally in charge of Aircraft Carrier Propulsion Systems. Following his second retirement, he and Barbara settled in Lynn Haven, where for the past 14 years, he has enjoyed traveling and fishing with his childhood friends, tending his flowers and cooking. Jim always was ready and eager to participate in a friendly debate and for the past 6 years was never without his constant companion, his Yorkshire Terrier, Mimi. Jim was preceded in death by his parents, George and Ellen, and his stepdaughter, Chrystal Shaw. He is survived by his loving wife of 16 years, Barbara Mauldin; his former wife, Mary Bell Mauldin, and their two daughters, Marise Michalochick (Robert) and Lori Eder (Scott); four granddaughters, Lori, Abbey, Kayla and Hannah; one stepson, James Maynard; and his beloved older sister, Marise Boyle. 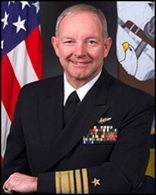 Vice Admiral David E. Frost (retired) is President of Frost & Associates, a private consulting firm in Colorado Springs, Colorado. 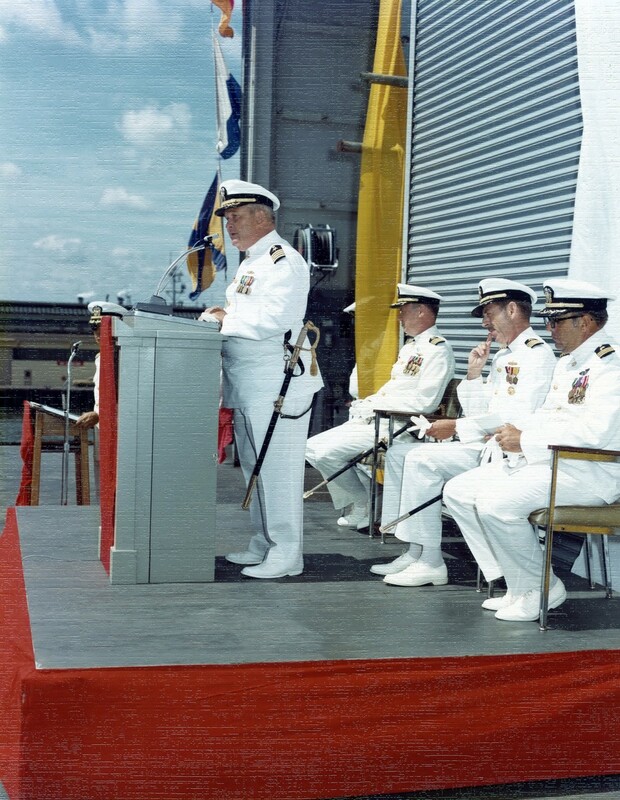 Admiral Frost retired in 1996 after 33 years of active service in the United States Navy. His final military assignment was Deputy Commander, United States Space Command and Vice Commander, NORAD. 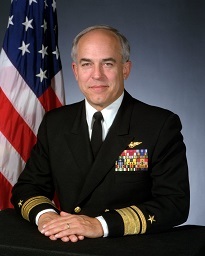 In earlier tours he served as the Director of Operations at U.S. European Command, Commander of Carrier Group Eight, Commander of Naval Space Command, Captain of two ships the aircraft carrier SARATOGA and the fast combatant support ship USS Seattle (AOE-3), Commander of two fighter squadrons, and Commander of Navy Fighter Weapons School (TOPGUN). John Mazach is vice president for Business Development atNorthrop Grumman Shipbuilding-Newport News. Named to this position in 2008, he is responsible for all business development, marketing and customer relations initiatives. A retired vice admiral, Mazach previously served as vice president for Business Development at the company's former Newport News sector. 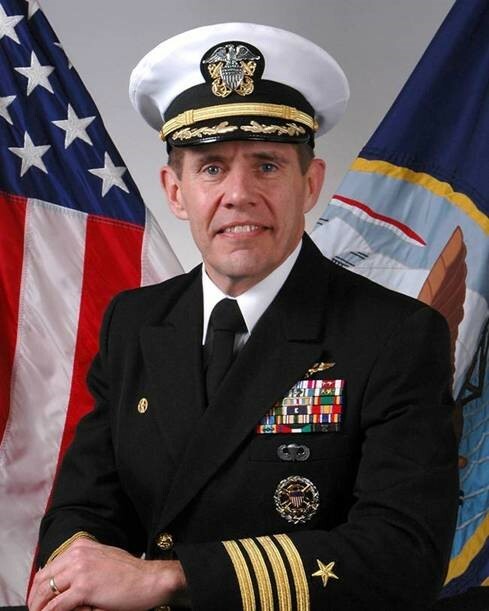 He is based in Washington, D.C.
Mazach served 32 years in the United States Navy as a naval aviator, flying fighter and attack aircraft from numerous aircraft carriers during his career. 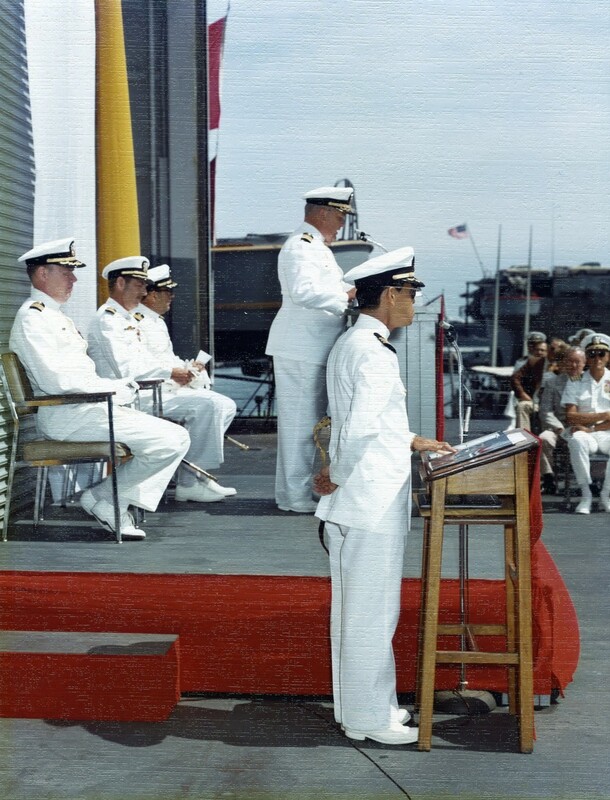 Prior to retiring with the rank of vice admiral as commander, Naval Air Force, U. S. Atlantic Fleet, Mazach was director for Strategy and Policy for the Office of the Chief of Naval Operations in Washington, DC. 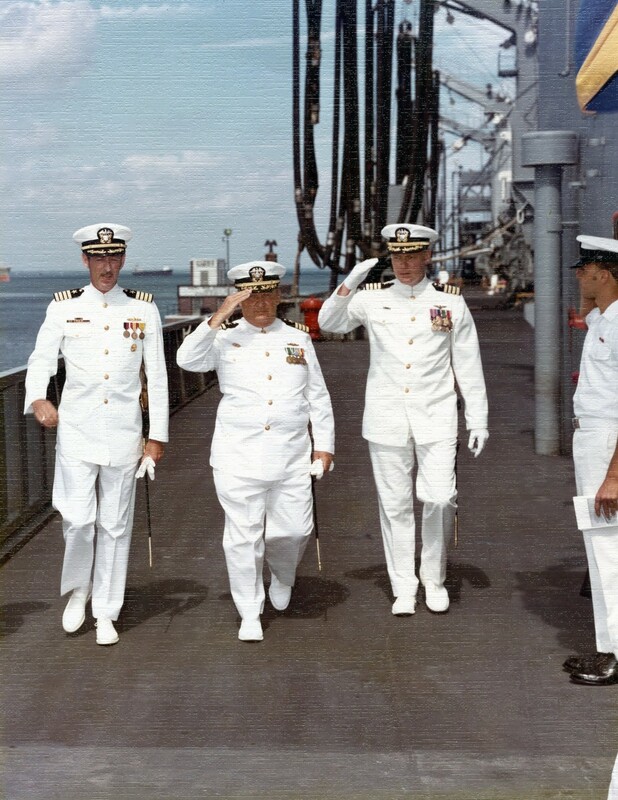 He also served as commander for Carrier Group Two, deputy director for Plans and Policy for the Commander in Chief,U.S. 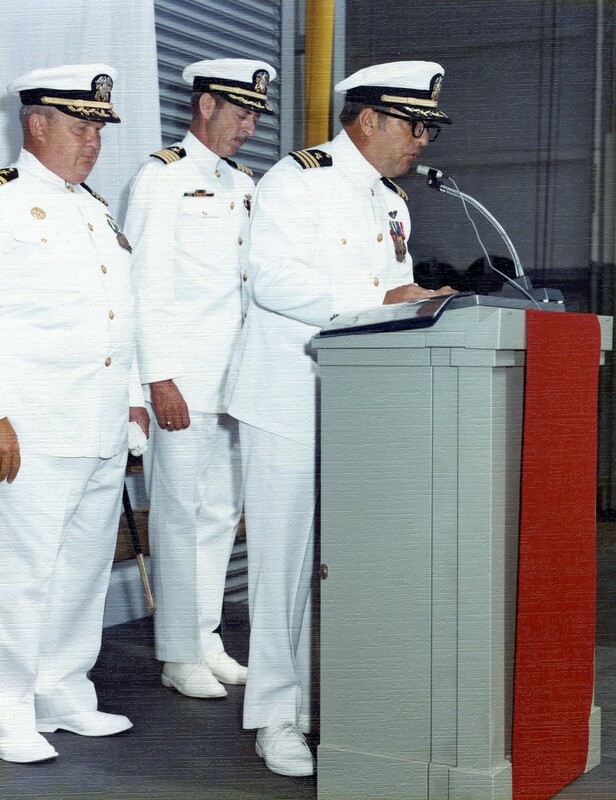 European Command in Stuttgart, Germany and he commanded the USS America (CV 66) during Operation Desert Shield/Storm in 1991. Mazach has a bachelor's degree from Vanderbilt University and is a graduate of numerous executive level service colleges. He serves as a member of the national board of directors for the Armed Services YMCA of the USA and is also a Trustee at the Naval Aviation Museum Foundation as well as a member of the board of directors for the Tailhook Association. 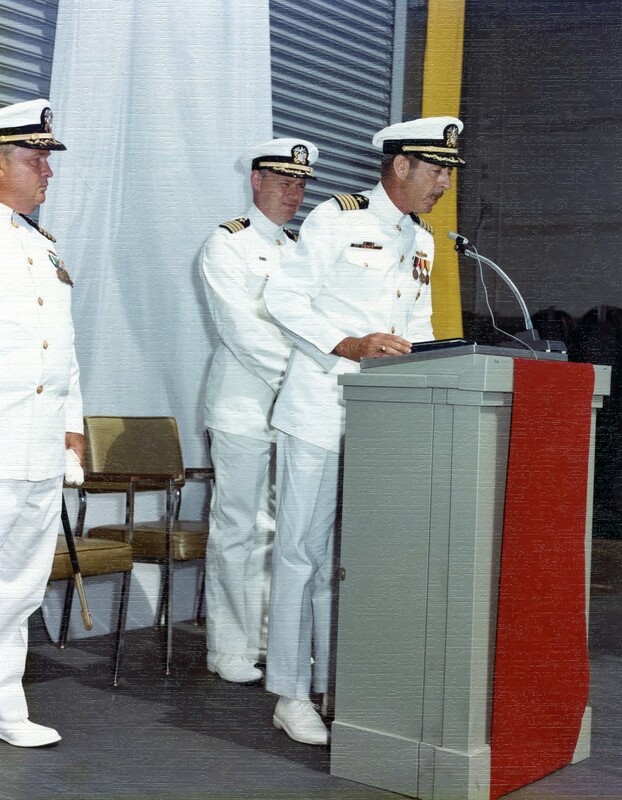 In January 1993 he assumed command of the fast combat logistics support ship USS Seattle (AOE 3), where he deployed to the Mediterranean in support of the USS Theodore Roosevelt Battle Group. Steven Firks was born in Crawfordsville, Indiana, attended Mollie E. Ray Elementary School in Pine Hills, Florida, and Hazelwood Junior and Senior High Schools in Florissant Missouri, graduating in 1970. He then attended the U.S. 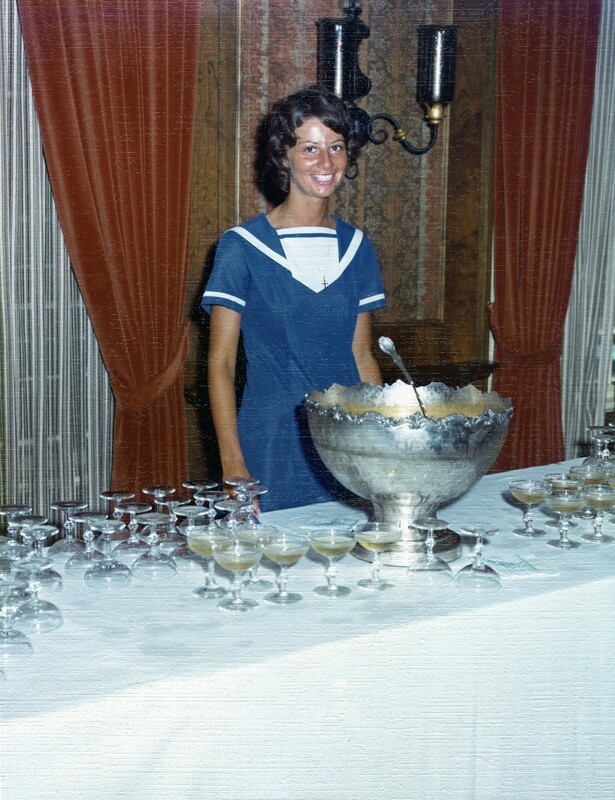 Naval Academy, graduating in June 1974. 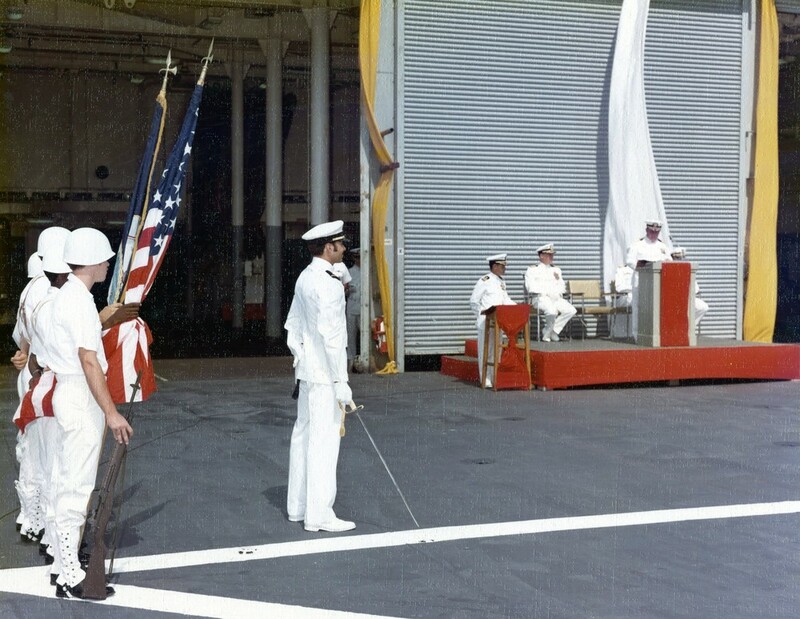 Following graduation from the Naval Academy, Steve attended flight training, and was assigned to fly the A-7E Corsair II, deploying to the Western Pacific and Indian Ocean with the VA-146 Blue Diamonds in USS Constellation (CV-64), CVW-2 in USS Ranger (CV-61) and VA-97 Warhawks in USS Carl Vinson (CVN-70). Following a tour in Fallon, Nevada flying the F-5E Tiger II and A-4F Skyhawk as an adversary pilot, he transitioned to the F/A-18 Hornet and made combat deployments for Operations Desert Storm and Southern Watch with the VFA-195 Dambusters aboard USS Midway (CV-41) and USS Independence (CV-62), including 32 combat missions into Iraq and Kuwait in support of Operation Desert Storm. 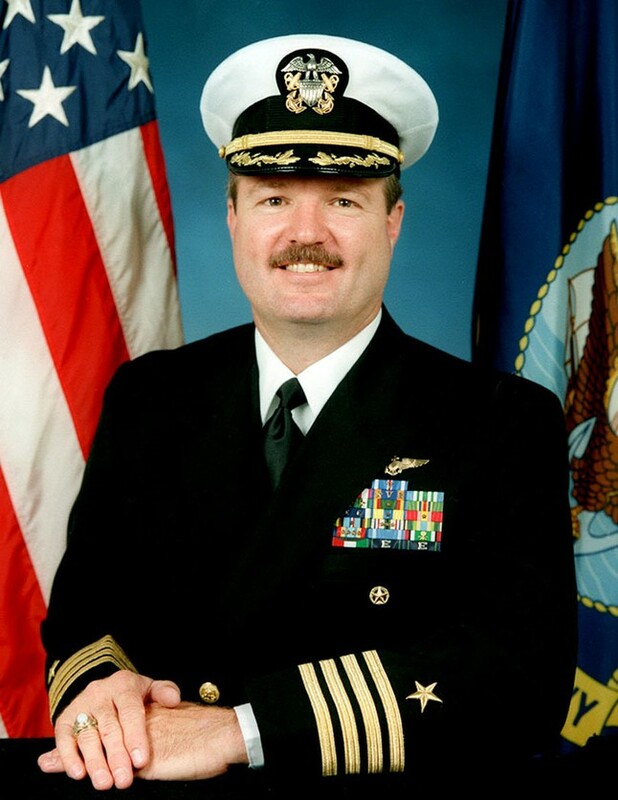 He then attended U.S. Navy Nuclear Power School and in 1995 was assigned as the Executive Officer in USS Theodore Roosevelt (CVN-71), supporting combat operations in Bosnia. 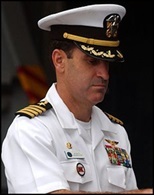 He commanded USS Seattle (AOE-3) from 1996 to 1998, deploying to the Arabian Gulf in the USS George Washington Battle Group. Following a short assignment as the Joint Operations Officer on Commander Second Fleet staff, Steve commanded the nuclear aircraft carrier USS Nimitz (CVN-68) from 1999 to 2002, leading the crew through the first nuclear refueling of a Nimitz class aircraft carrier, and homeport change from Newport News, Virginia to San Diego, California. His last assignment in the Navy was in Colorado Springs, Colorado where he served as the Vice Director of Plans in U.S. Space Command and as the first Division Chief for Ballistic Missile Defense in U.S. Northern Command. 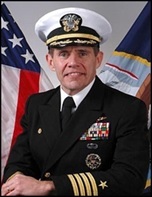 CAPT Firks joined the Missile Defense Agency in July 2004 after 30 years’ service in the United States Navy. Steve established the Ballistic Missile Defense System Watch Officer (BWO) team, which has grown to become a vital source of information for MDA Senior Leadership, and a centerpiece of MDA’s around the clock support to Warfighters who defend the nation from ballistic missile attack. He currently leads Warfighter Strategic Integration – Colorado Springs, with responsibilities for the MDA Operations Support Center, BMDS Asset Management, Operational Readiness Reporting and BMDS Strategic Planning support. Steve earned a Bachelor’s Degree in General Engineering from the U.S. 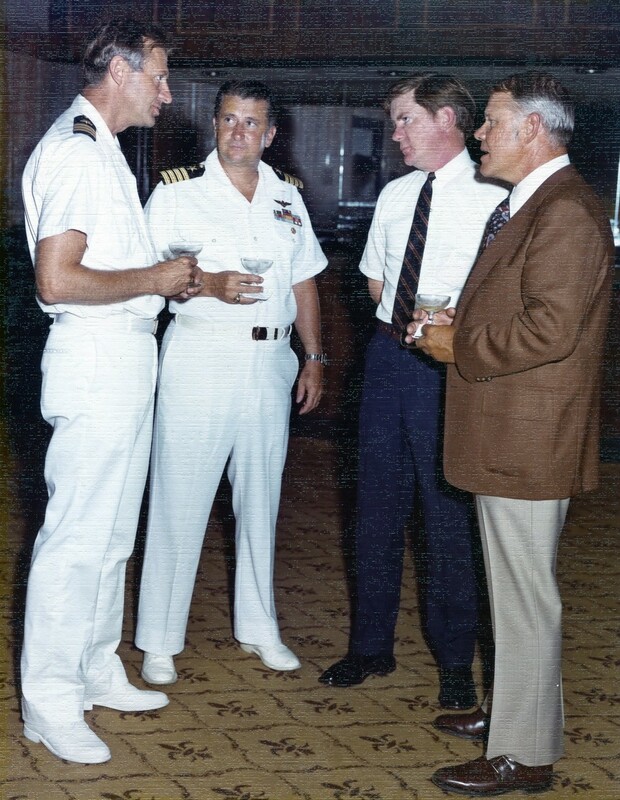 Naval Academy in 1974, a Master’s Degree in Aeronautical Engineering from the U.S. Naval Postgraduate School in 1986 and he earned nuclear operator and supervisory qualifications in U.S. Navy Nuclear Power School in 1994. 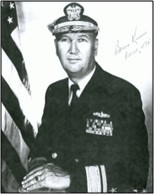 His Military Awards include the Defense Superior Service Medal, the Legion of Merit (two Awards), the Meritorious Service Medal (two Awards), the Air Medal (one Award for Valor, two Meritorious), the Navy and Marine Corps Commendation Medal (one Award for Valor, two Meritorious), as well as other command and unit awards. Steve was the third recipient of the annually awarded Missile Defense Agency Star Award in May, 2007. He is married to the former Susan Taylor of Florissant, Missouri. They have been blessed with three children, Catherine, Jeffrey and Timothy, and six grandchildren, Kristen, Allison, Owen, Benjamin, Kaylee and Lauren. Captain Barbaree entered the U.S. 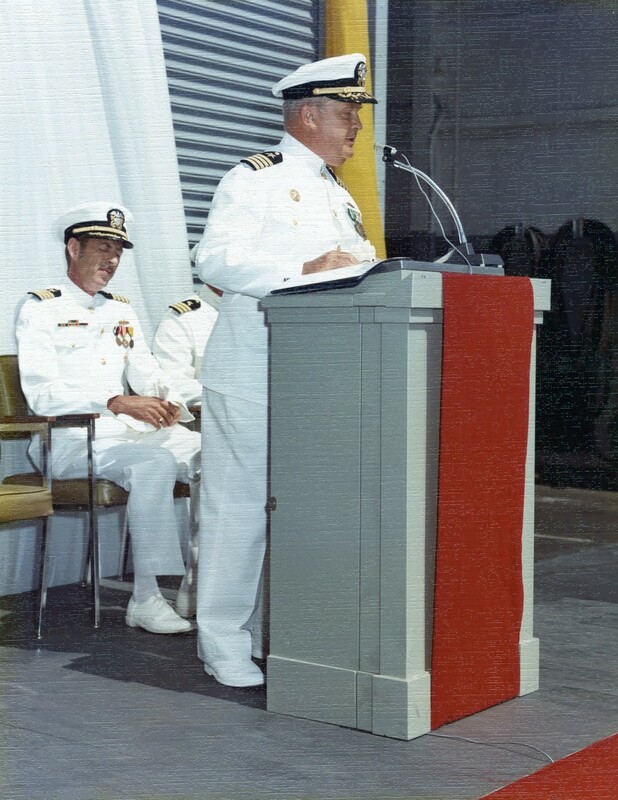 Naval Academy in 1973. 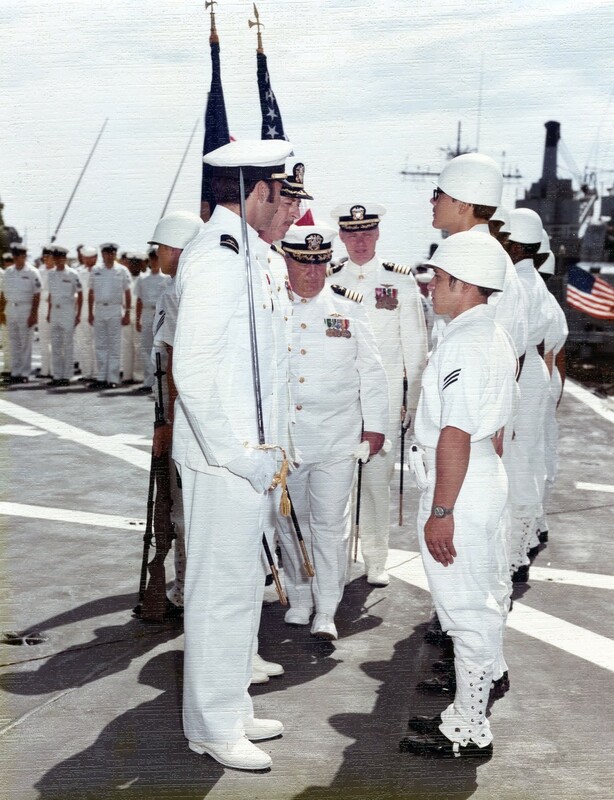 He received his commission as an ensign in June 1977 and reported to Attack Squadron (VA) 81 for further assignment to flight training at Naval Air Station Pensacola, FL. Designated a naval aviator in February 1979, his first assignment was with Training Squadron (VT) 25 as a flight instructor flying the TA-4J Skyhawk. In November 1980, Captain Barbaree was assigned to Fighter Squadron (VF) 101 for training in the F-14 Tomcat. He reported to Fighter Squadron (VF) 32 in August 1981, where he served as the avionics /armament division officer, training officer and squadron LSO. While with VF 32, he completed two Mediterranean Sea deployments in USS Independence (CV 62) which included combat operations in support of American forces in Grenada and Lebanon. 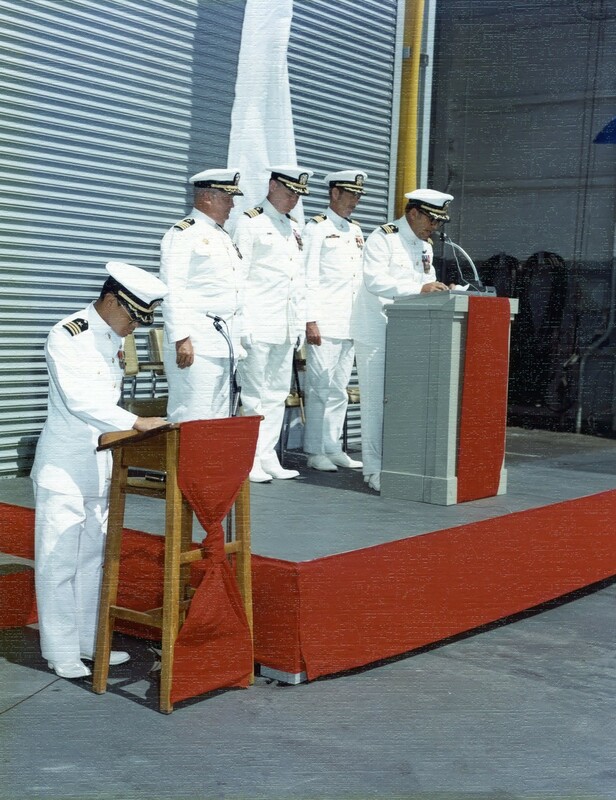 In April 1984, Captain Barbaree was selected to participate in the cooperative program with the U.S. 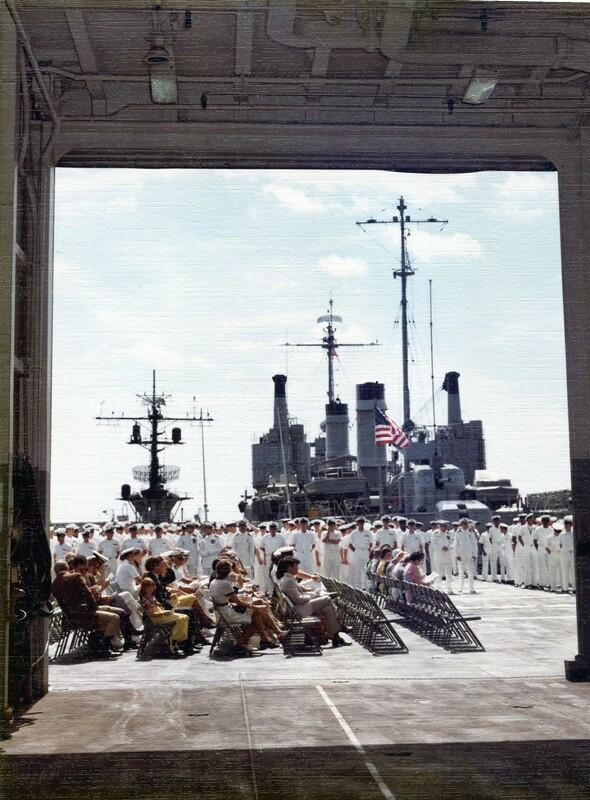 Naval Post Graduate School and the U.S. Naval Test Pilot School. 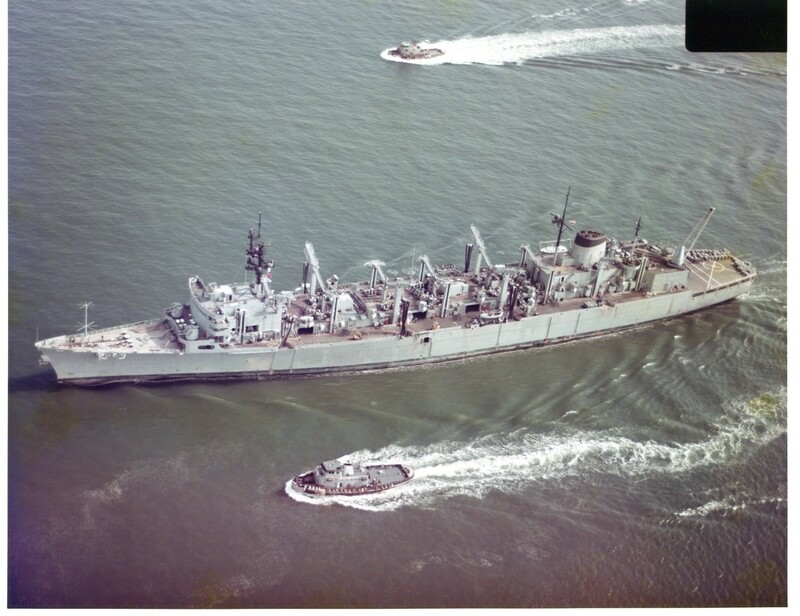 He reported to Monterey, in August 1984 and continued on to Naval Air Station Patuxent River, in December 1985. In December 1986, he graduated from the test pilot school with Class of 90 and received a Masters of Science in Aeronautical Engineering. He remained at the Naval Air Test Center conducting various flying quality and performance tests on the A-3, A-4 and F-14 aircraft and instructing other prospective test pilots until June 1989. 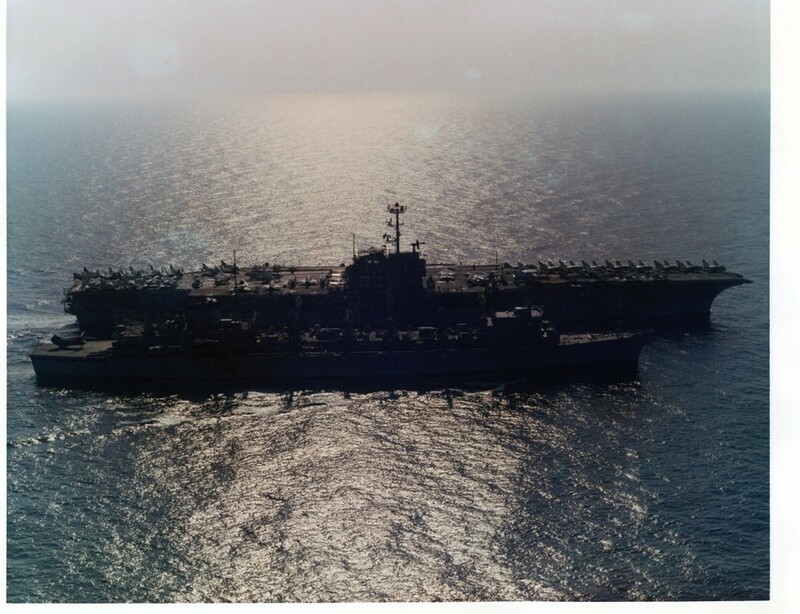 In September 1989, Captain Barbaree joined the Diamondbacks of Fighter Squadron (VF) 102 deployed in USS America (CV 66) in the Mediterranean Sea. He served as the operations officer and assumed duties as the maintenance officer in June 1990. 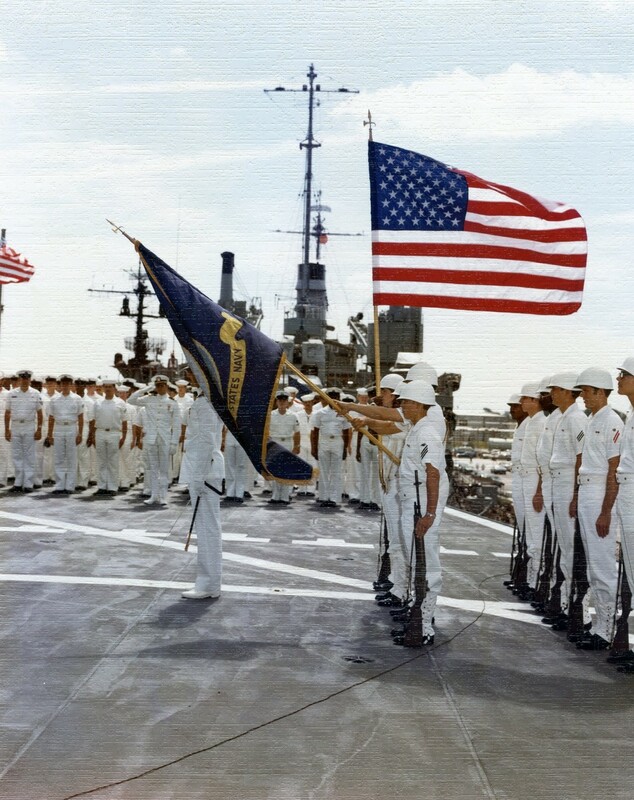 In December 1990, he deployed aboard USS America (CV 66) for combat in Operations Desert Shield and Desert Storm. In July 1991, he served as operations officer of the staff of Commander, Tactical Wings Atlantic at NAS Oceana, Virginia. 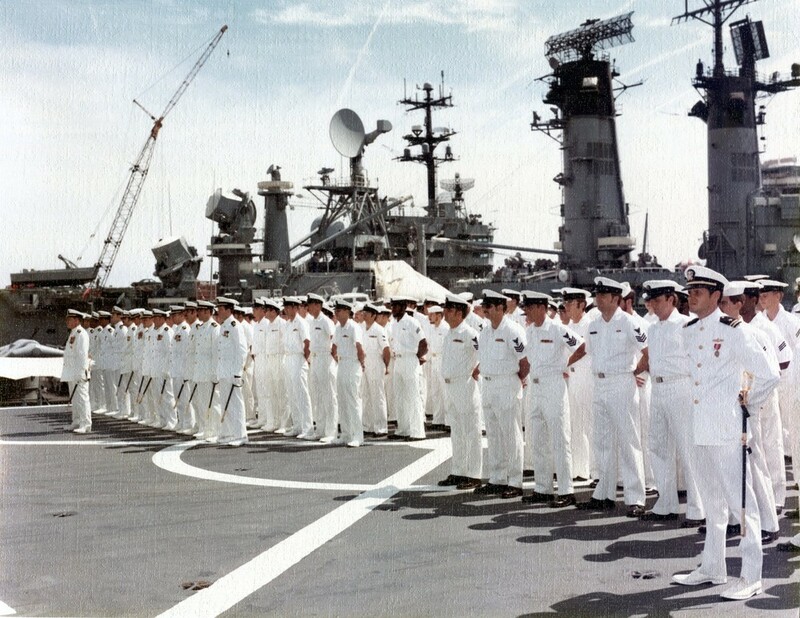 In August 1992, he was assigned to the staff of Joint Task Force, Southwest Asia (Riyadh Saudi Arabia) as the senior Navy strike planner. 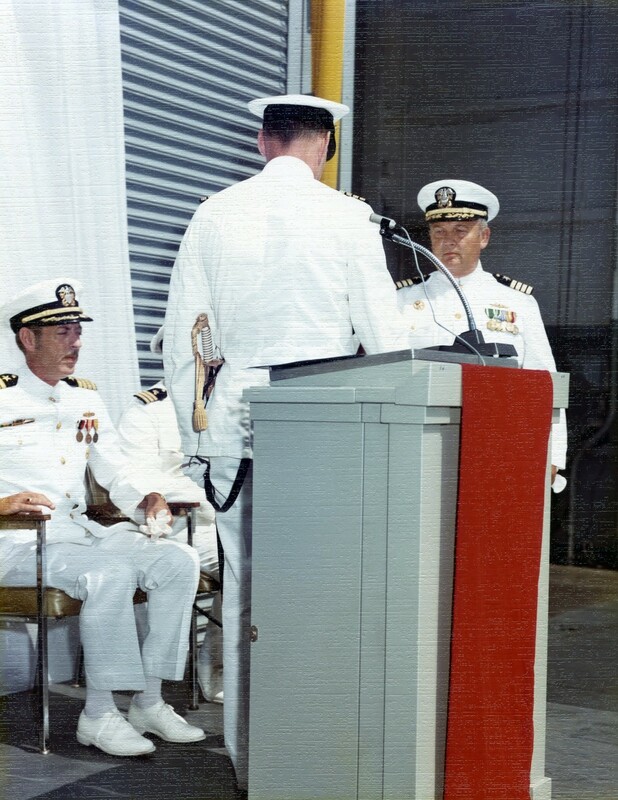 Captain Barbaree returned to VF 102 as executive officer, and assumed command of the Diamondbacks in July 1994. 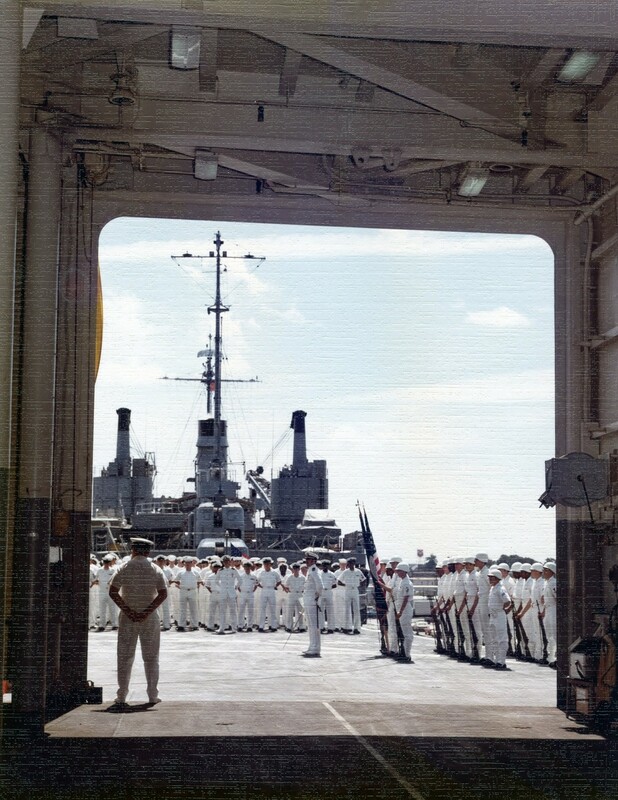 During his command tour with VF 102, he deployed again aboard USS America (CV 66) for operations supporting NATO forces in Bosnia and American Forces in Somalia. 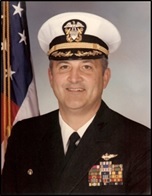 After being selected for the Navy's nuclear power program, Captain Barbaree reported to the Navy Nuclear Power Training Command, Orlando, in November 1995. Upon completion of 20 months of training, reported aboard USS Nimitz (CVN 68) as executive officer. 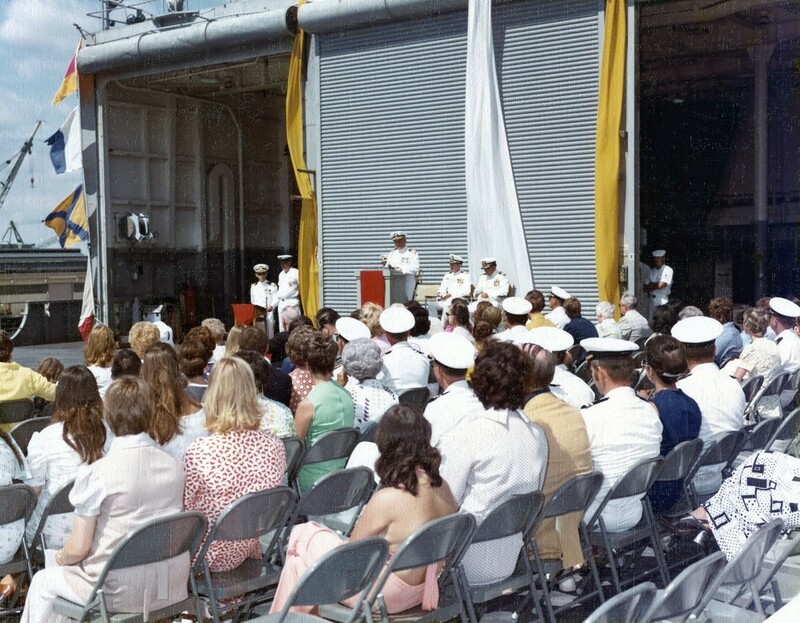 In Nimitz, he completed an around the world deployment including operations in the North Arabian Gulf and planned and commenced execution of the first ever NIMITZ class carrier 3 year Refueling Complex Overhaul in Newport News Virginia. Following his tour in Nimitz, he attended the Naval War College, graduating with distinction in November 1999. Captain Barbaree assumed command of USS Seattle (AOE 3) while deployed in March 2000. 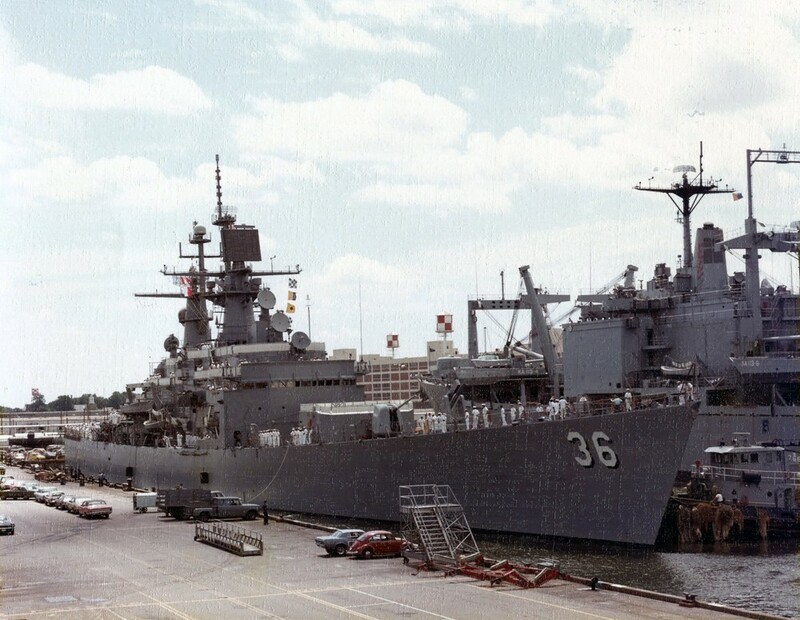 During his tour, Seattle completed a 5,000th underway replenishment. 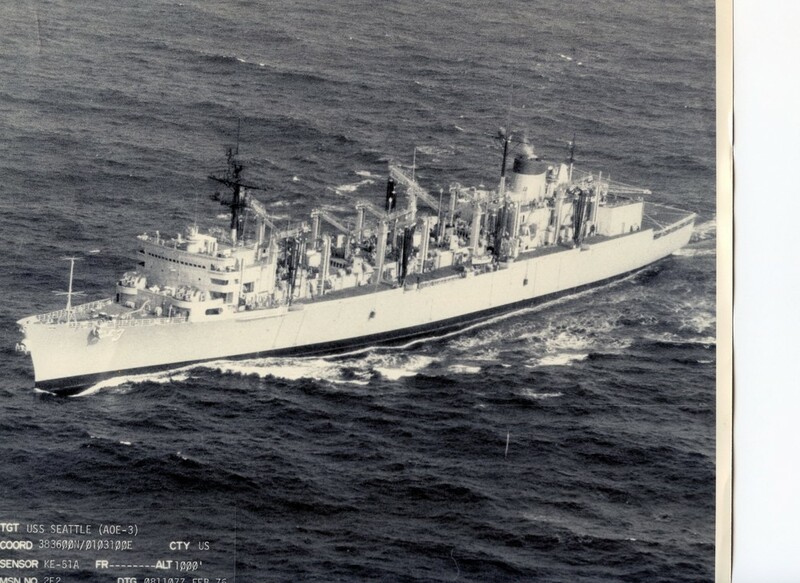 The ship also earned the 2000 Battle E and became the first Combat Logistics Force Ship to make the Commander in Chief, U.S. Atlantic Fleet's retention honor roll. 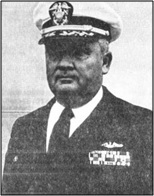 Captain Barbaree reported to the U.S. 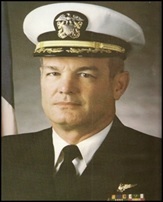 Seventh Fleet staff as Deputy Chief of Staff for Operations, Plans and Engagement in August 2001. He took command of USS Kitty Hawk (CV 63) in September 2002 and led her to the North Arabian Gulf in preparation for combat operations in Iraq. 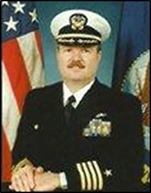 Captain Barbaree reported as Deputy Commander and Chief of Staff, Commander Operational Test and Evaluation Force, Norfolk Virginia, in April 2003 and retired from active duty in September 2004. Captain Barbaree has logged more than 5,000 flight hours, 250 combat hours, 850 carrier arrestments and flown more than 20 different tactical jet aircraft. 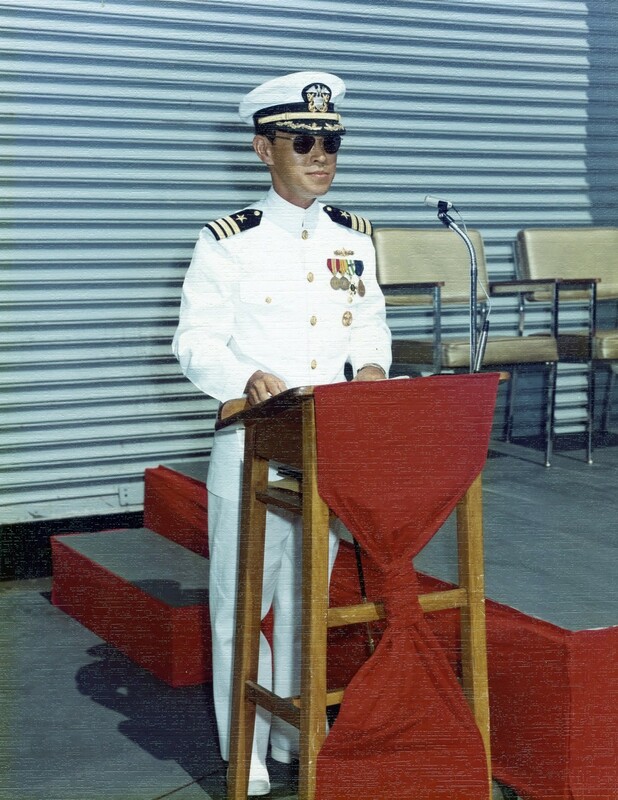 His decorations include three Legions of Merit, the Distinguished Flying Cross with Combat V, Meritorious Service Medal with two gold stars , two individual Air Medals with Combat V, six strike-flight Air Medals, the Joint Service Commendation Medal , three Navy Commendation Medals (one with Combat V), and various unit citations, campaign medals, and service ribbons. 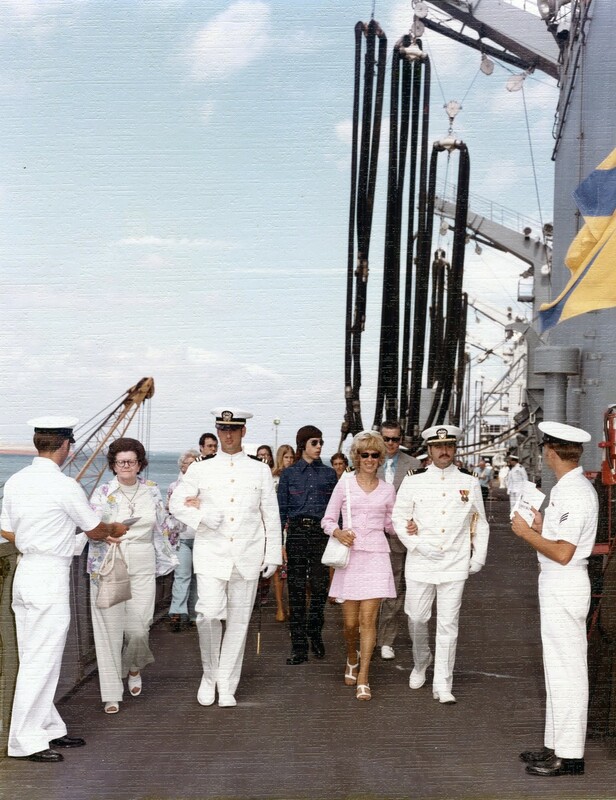 Captain Barbaree is married to Frances (Fran) Mason Barbaree of Jacksonville, Florida. They have three grown children, Kelly Barry, Stacey Barbaree and Captain Robert D. (Donnie) Barbaree, III, USMC. They have four grandchildren, Connor and Brooke Barry and Annabelle and Austin Smith. They reside in the Great Bridge community of Chesapeake, Virginia. 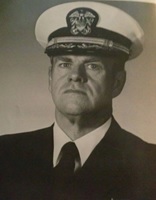 Captain Dykhoff grew up in West Virginia and attended Case Western Reserve University in Cleveland, Ohio. He was commissioned though the Aviation Officer Candidate program in Pensacola, Florida. Captain Dykhoff’s operational background includes tours with two F-14 Tomcat squadrons (VF-154 and VF-24) and assignment as Operations Officer for Carrier Air Wing Nine, Executive Officer and Commanding Officer of Strike Fighter Squadron 97 flying the FA-18 Hornet, Executive Officer of USS NIMITZ, Commanding Officer of the fast combat support ship USS SEATTLE, (AOE 3), and Commanding Officer of USS GEORGE WASHINGTON (CVN 73). 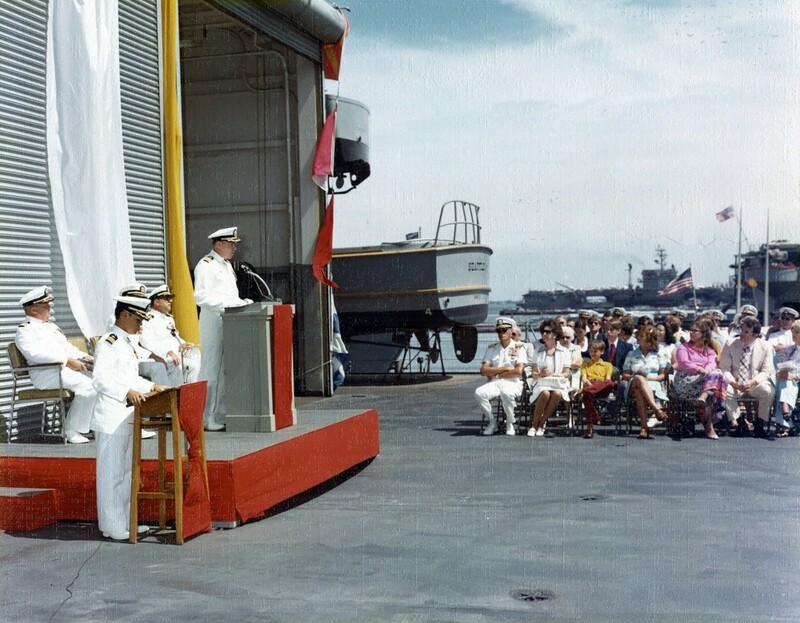 During his command tour with VFA-97, the squadron won awards for excellence in ordnance handling, aircraft maintenance, carrier landing excellence (Top Hook), and battle efficiency. 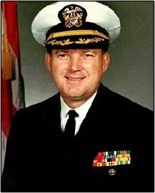 Captain Dykhoff participated in the closing phases of Operation Desert Storm, and during subsequent deployments to the Arabian Gulf participated in several different phases of Operation Southern Watch. 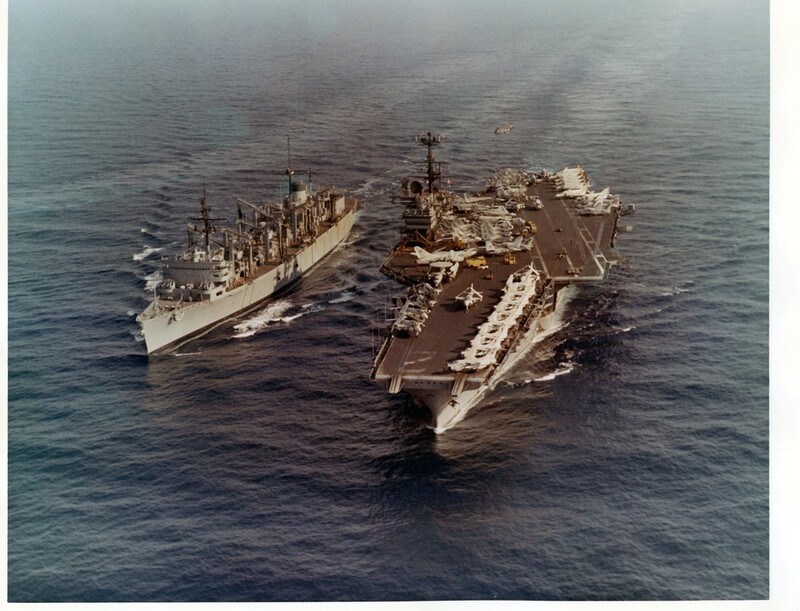 During his tour in NIMITZ, the ship emerged from the first-ever refueling of a NIMITZ-class carrier, transited around South America as she changed homeports from Norfolk to San Diego, and returned to full operational capability. 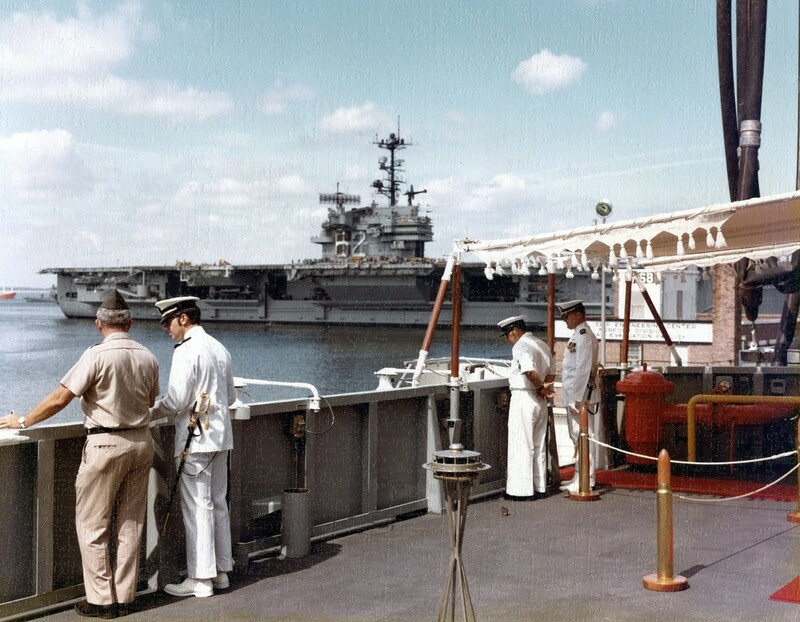 During his command tour in USS GEORGE WASHINGTON, the ship prepared for transfer to the forward deployed naval forces in Japan, and transited the Strait of Magellan en route to Yokosuka. In the late 1980s, Captain Dykhoff managed F-14 flight testing at the Navy’s aircraft test center in Patuxent River, Maryland. Projects in which he was involved included tests to determine the high speed flying qualities and carrier suitability of the F-14B Super Tomcat before it was delivered to fleet units. 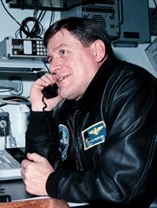 Captain Dykhoff was instrumental in resurrecting the ground attack mission for the Tomcat when he served as project officer for that evolution, dropping bombs from the F-14 for the first time at Patuxent River since the early days of the Tomcat program. 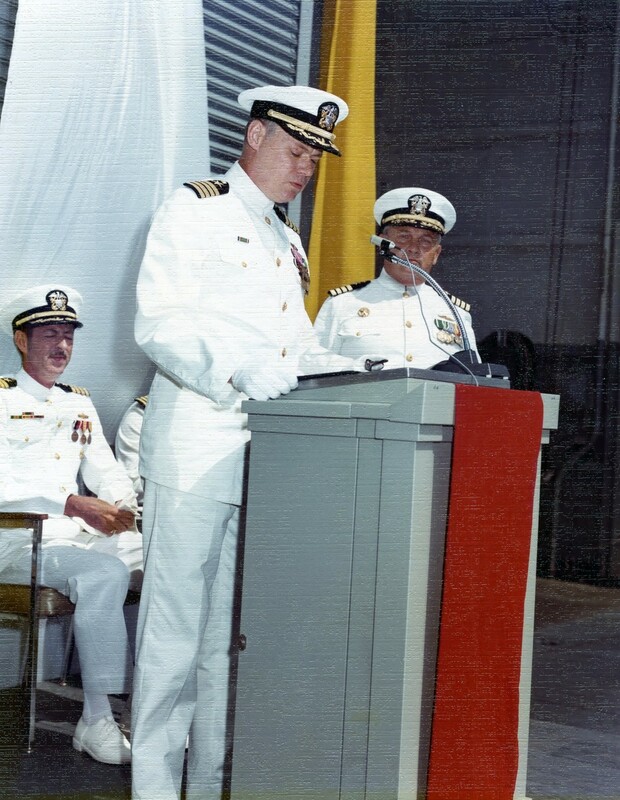 Captain Dykhoff served as Flag Lieutenant to Commander, U.S. Sixth Fleet when that position was held by then Vice Admiral Joseph Prueher. During this tour Captain Dykhoff was selected to serve as the NATO liaison officer to the United Nations Bosnia-Herzegovina Command in Sarajevo, where he co-authored the air operations order used to lift the siege of Sarajevo in February 1994. 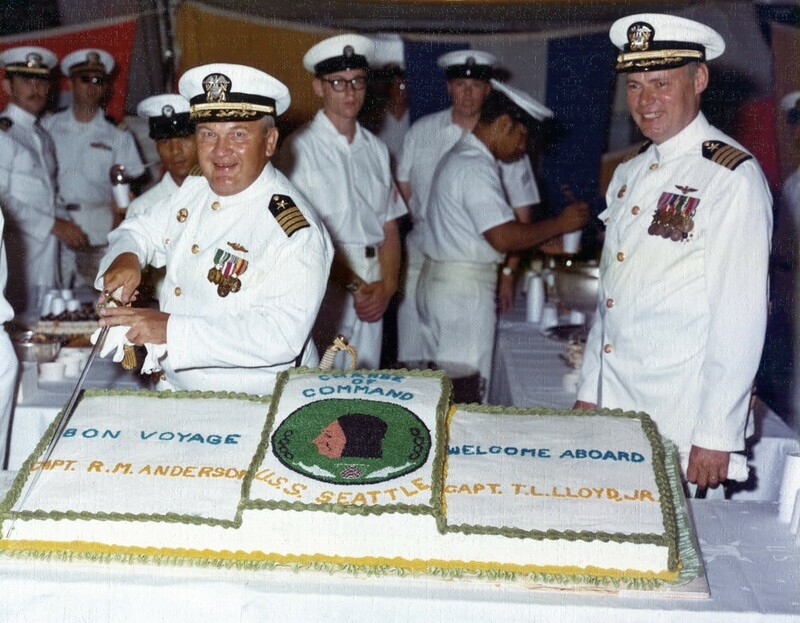 Between his squadron and ship command tours, Captain Dykhoff was ordered to the Joint Staff in the Pentagon. Working in the operations directorate in the Central Command area of responsibility, he was closely involved in the briefings and staff work necessary for the successful execution of Operation Desert Fox, in addition to having primary responsibility for other classified projects. Other staff positions in which he has served include Readiness Officer for Naval Air Forces, and Chief of Staff, Naval Air Force, U.S. Atlantic Fleet. Captain Dykhoff is a graduate of U.S. Air Force Air War College, U.S. Navy Test Pilot School, U.S. Navy Fighter Weapons School (TOPGUN), Joint Forces Staff College, Air Command and Staff College, and Naval Nuclear Power and Prototype Schools. He holds a Bachelor of Science degree in Electrical Engineering and Applied Physics, and a Master of Science in Systems Engineering. 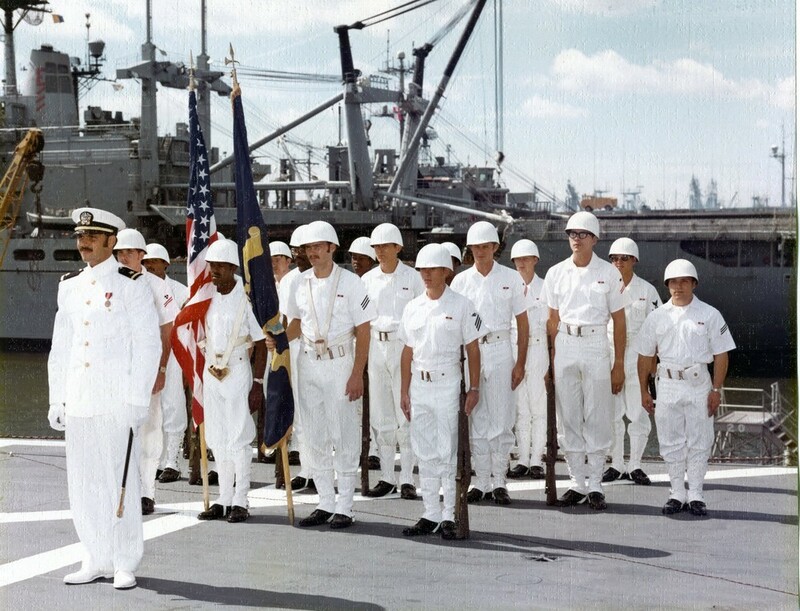 He is authorized to wear the Legion of Merit, Joint Meritorious Service Medal, Meritorious Service Medal, Air Medal, Joint Commendation Medal, Navy Commendation Medal and other awards. Subsequent to retiring from the US Navy, Captain Dykhoff owned and operated a small business, worked as a consultant to a program designing the first drone to operate from aircraft carriers, and served as Director, Modeling and Simulation for the US Missile Defense Agency. Twentfourth skipper of the Seattle. 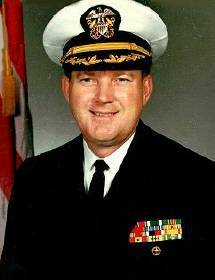 Rear Admiral (Select) Hall is a 1982 graduate of the University of Texas NROTC program and was designated a naval aviator in December 1983. His operational sea assignments include service in Fighter Squadron 74, Fighter Squadron 11, and Fighter Squadron 102 flying the F-14A/B. He also served as executive officer of USS Dwight D. Eisenhower (CVN 69). Hall commanded an F/A-18C squadron, Strike Fighter Squadron 87, a fast combat support ship, USS Seattle (AOE 3), and a nuclear powered aircraft carrier, USS Abraham Lincoln (CVN 72). 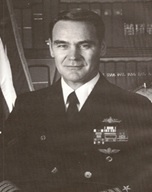 Hall served ashore as an adversary instructor pilot with Fighter Squadron 43 and instructor pilot with Fighter Squadron 101. His first joint tour was as chief of staff, Standing Joint Forces Headquarters (SJFHQ), United States Joint Forces Command. In this position he deployed in support of hurricane Katrina, Combined Disaster Relief Center Pakistan and CJTF-76 in Afghanistan where he assisted in the stand up of a counter improvised explosive device (C-IED) headquarters staff. In February 2010 he reported to his current joint assignment as deputy director for Operations, J3, Joint Staff. He earned a Master of Arts in National Security and Strategic Affairs from the U.S. Naval War College in 1996 and completed the Navy’s nuclear power training program in 2002. Hall has over 4000 flight hours in 7 different military aircraft and has logged over 900 carrier arrested landings. 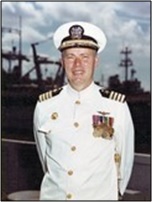 His personal awards include the Defense Superior Service Medal, two Legions of Merit, Bronze Star, two Defense Meritorious Service Medals, two Meritorious Service Medals, Air Medal with Combat V, six Strike Flight Awards, four Navy Commendation Medals two with Combat V, Navy Achievement Medal and several unit, service and campaign awards.